It was five years ago that a small group of leaders sat around a table and together with prayerful hearts decided what our goals were for Palm Garden. Out of that discussion evolved our Vision, Values and Mission Statement. That has been the bedrock of our success in becoming the premier provider in the state of Florida. 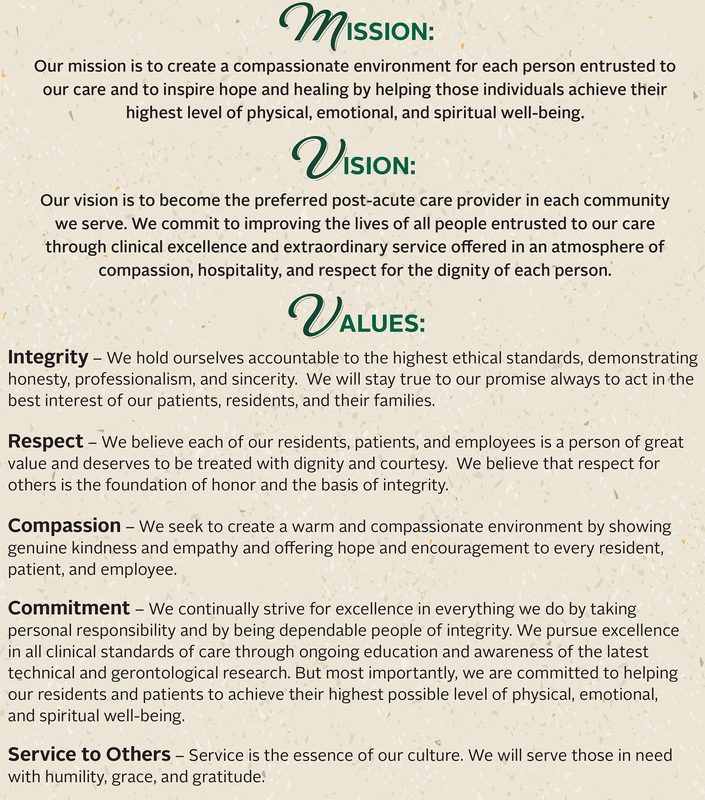 It has been the leadership that has brought together compassionate men and women professionals who share our same vision and mission of providing a loving environment and the best quality of life for all who come to us for care. We thank God for his many blessings of the past five years and ask His guidance as we continue to care for all who choose to be part of our Palm Garden Family.